Part of Katie Couric’s “controversy” on her show about the HPV vaccine was the claim by her expert, Dr. Diane Harper, that the vaccine only lasts for 5 years. I mean, why promote a 5 year vaccine to adolescent girls that will wear off and leave them at risk during their 20s? The problem with this “controversy” over the duration of vaccine effectiveness is that it is entirely manufactured. Dr. Harper is a researcher who has participated in many of the HPV vaccine trials. This means she enrolled lots of patients and was an author on many papers, but she did not invent or design the vaccines. She may have played some role in study design and data analysis. She (and her institution) also received lots of research money in return. 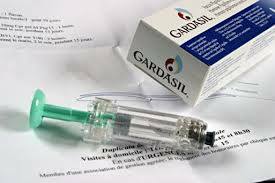 As an aside, Harper is often been identified as the lead Gardasil researcher. She was an author of the original FUTURE study, but not the lead investigator. Shouldn’t Couric have actually read some of Harper’s work before having her on as an expert? Shouldn’t she have asked for proof about this whole 5 years claim? Shouldn’t she have fact checked? Unless of course Couric’s agenda (or that of her producers) was to A) drum up a false controversy or B) promote an anti-HPV vaccine stand (rhetorical musing). If Harper felt Cervarix were truly better, that would have made for an interesting discussion. I’m not sure there is data to say it is better, but if she had a reason I’d want to hear it. Harper has written that antibody levels are higher with Cervarix versus Gardasil, however, studies also tell us that the effect of the vaccine doesn’t seem to depend on antibody levels. For argument’s sake even if either HPV vaccine only worked for 5 years that doesn’t mean it goes to the reject pile. The Tdap vaccine requires a booster. Immunization against the flu requires a yearly shot. Might we find that people need a booster for the HPV vaccine at 10 or 20 years? Perhaps. Would that make it a bad vaccine? No. Both HPV vaccines work for longer than 5 years. A lot longer. This is evidence based medicine. Some of this data comes from Harper’s own publications or data sets that she contributed to, yet she said otherwise and went unchallenged on national television. Now there’s a real HPV controversy for you. Oh, and for anyone interested in safety, Harper’s own work also indicates that the incidence of adverse events with both of the HPV vaccines is the same as placebo. Again, why this wasn’t brought up against the two claims of vaccine injury, well, that’s just another controversy. Thanks for the reference and catching the typo! The reason for the “it only works for 5 years” fallacy is partly the regulation of the manufacturers. Manufacturers are not permitted to tell patients how long the mathematical modelling suggests the vaccine will work for. They are obliged to tell them the time it has already been proven to work for. If a vaccine’s only been used in humans for 5 years, then (even if, at that time, antibody levels are twenty times the level required for protection, and have been hardly fallen since the date of vaccination), they are only allowed to say that the vaccine has only been proven to work for 5 years. 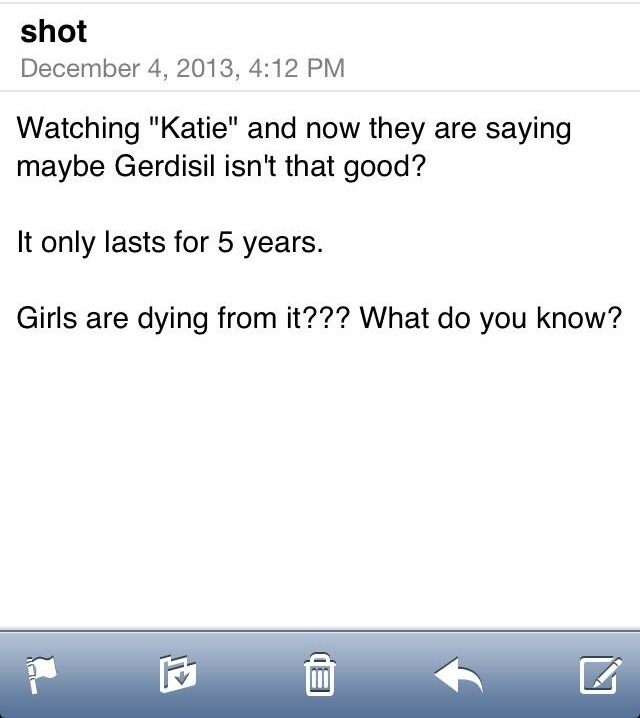 (Oddly, the http://hpv.kegel.com/faq/#duration link also mis-spells Gardasil). Excellent article Dr. Gunter. I’ve been posting a lot of comments on science blogs and mainstream media blogs about Dr. Harper’s involvement in designing the protocol for clinical trials. She was not involved in the development of either HPV vaccine. I have no idea why Dr. Harper, who was introduced as an “International expert in HPV and HPV prevention”, was unaware of the studies conducted thus far that indicate protection against HPV viruses is beyond five years. Dr Jen, dropping some truth. In this article Dr Harper posts charts showing how the immunity is maintained out to 5 years and 8.4 years for the vaccines. Immune responses are 10 fold and 16 fold higher than natural infection levels, at that time point, and according to the graphs showed no signs of declining. So why should she decide it has all inexplicably vanished at 4 years 365 days post vaccine? It’s said that there is an age range at which the cervix is particularly likely to undergo dysplastic change when it meets HPV, and this is in the early teens. Meeting HPV later in life will give you warts but is much less likely to cause cervical cancer. In other words, it may not matter so much if the vaccine wears off, and as Dr Gunter says, we can always add a booster dose. It’s also worth mentioning that HPV’s effect on a teenage cervix is multiplied tremendously if the cervix’s owner smokes, so there’s good preventive work to be done there too. 5 years vs 6.4 years a big deal?? Seems to me like 6.4 = aVerage and 5 = underrange. not something to get your knickers all twisted about.